These even still had the tags on and all. I can dig them. I paired them with a silk blouse from Banana Republic from thredUP that can be dressed up or down and is the perfect level of slouch for tucking or not. Despite living in a warmer climate, I keep a sweater on me at all times because people tend to overcompensate for the warmth with their a/c and this is perfect to help a perma-cold mother out. rebel fashionista that I am. My jeans are Seven For All Mankind and in great condition and the wedges are like new AND embarrassingly comfortable because you know who makes them? Dr. Scholls. Both from thredUP ... I'm sure you're sensing a theme here. I hope. But the kids, Grace. What about the KIDS. Julia's had this great blazer from Gwen Stefani's Target line (years old) since she was 2 or 3 and I was SO excited to find the same blazer in a bigger size (with tags!) so that Phoebe can play heiress to the old blazer and they can be twins ... if they'd like. ... they'd like. Sometimes. I hope. BUT back to me me me me me me. I dressed down this dress (har har) with a fun plaid shirt from Old Navy. I'd been eying that same shirt when it was on sale at Old Navy but I'm so glad I waited because I got it for a fraction of the price and it's the great near-tunic length (when untied) I was hoping it would be. I was also SO excited to find these J.Crew mules in my size. fine, that was a stretch. Anyway, I used to love, love, love going to secondhand stores and finding great deals and while I know some moms can take their kids in and browse with no problems at all ... I am not that mom and my kids are not those docile children, sadly. So, it's for this reason that I love the ease of thredUP. I sell a lot of our clothing to them in exchange for store credit and if ever (rare) I don't love something I ordered - they have free and easy returns which is really nice. Much of thredUP's inventory still has the tags attached and the formerly loved clothing is always in great shape. ThredUP is generously giving away a $100 credit to one lucky Camp Patton reader. We're taking it back old school with the Rafflecopter drill but old habits ... die never. Thanks for reading and best of luck!! I'm going to need some maternity threads in the coming months and I'm not about to drop all the money on ugly stuff i'll only wear for half a year. Thread up prices + high quality = happy prego lady! All the kids' clothes! I hate buying new clothes for my daughter only to have her grow out of them in a second. I love looking for good condition used clothes! I'd love to find some swimwear for the 4 year old! I'd love to get kids clothes for our brood of six. Inexpensive but quality is the only way to go. I would love to not have to leave the house for kids clothes! And also never buy new--they grow out of it/destroy it wayyyy to quickly! You found some great things - I love that embroidered top! ThredUp diehard here! We need to find some summer clothes for my kiddo soon- shorts especially. But I'd totally spend some $$ on myself. Time to replace some very old shirts. Would be looking for kids shoes... they outgrow them so fast. Thredup is the best! I'm forever on the hunt for a good pair of black jeans. Maternity clothes. Last baby: born at the coldest time of the New England year. This baby: due at the height of California summer. I love thread up! I bought tons if shorts over the winter for super cheap. I sell there also! I'm looking for shirts. Spring-y shirts that will drss up enough to be worn on the few times I have to travel to my office for work, but not so dressy that I can't wear them for the day-to-day life I leave of working from home during the day and chasing my 3yo around all the rest of the time with the occassional parent's night out thrown in for good measure. Oh, and not really tight because I am a mom and not too revealing and I really need some that will work with the upcoming No. California summer because the last time I truly shopped for myself we were in the middle of a Midwestern winter. I'd treat myself to something nice, like the pair of Frye boots I just found in my size. IN order to buy for: kids, grandkids, me. I would love to find a lovely dress for me. Just in time for the Spring Break wardrobe change-out. And I don't have to leave my house? Yes, please. 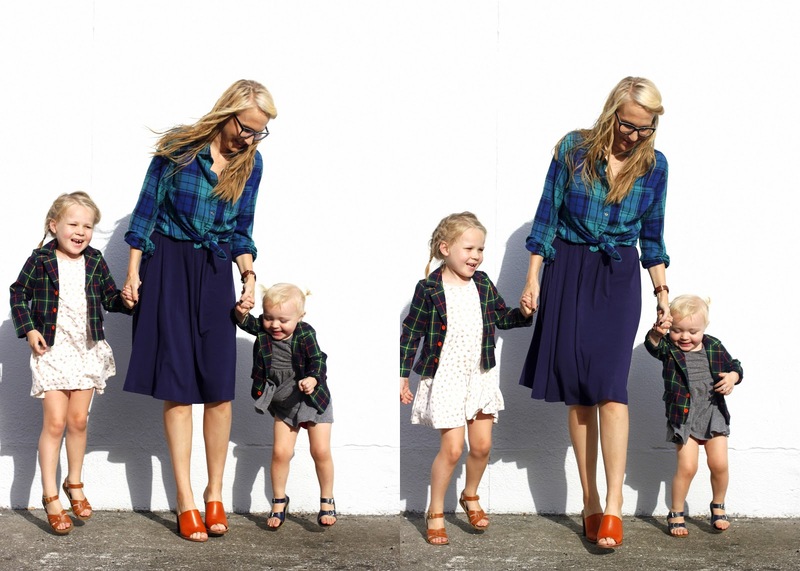 LOVE thredup and would love to replenish my limited (since baby #3) wardrobe! Thred up is the absolute best! I love the free returns- cause I never buy the right size...ever! Just discovered them and love the site. Anything non maternity for a change would be great! I'm likely going to need to redo my wardrobe postpartum to have anything to wear this summer/fall. Thred-up would be a great tool to keep me from toting my newbie + toddler to the secondhand store! I love thredup. Totally addicted. I'd spend $100 on maternity and postpartum clothes! Thredup is great! I'd love some new jeans and some new sandals for summer! I'm completely fashion-challenged, but I wouldn't mind the $100 to shop! I would love some cute shorts for summer! I'd love a couple lightweight cardigans for layering this spring. Maybe a new bag as well. We recently moved to Indiana from Florida and spring here is NOT like spring there! Me and my little guys could definitely use some Midwest friendly spring clothes! Cool! I'm always looking for pants with tough-to-find inseams. 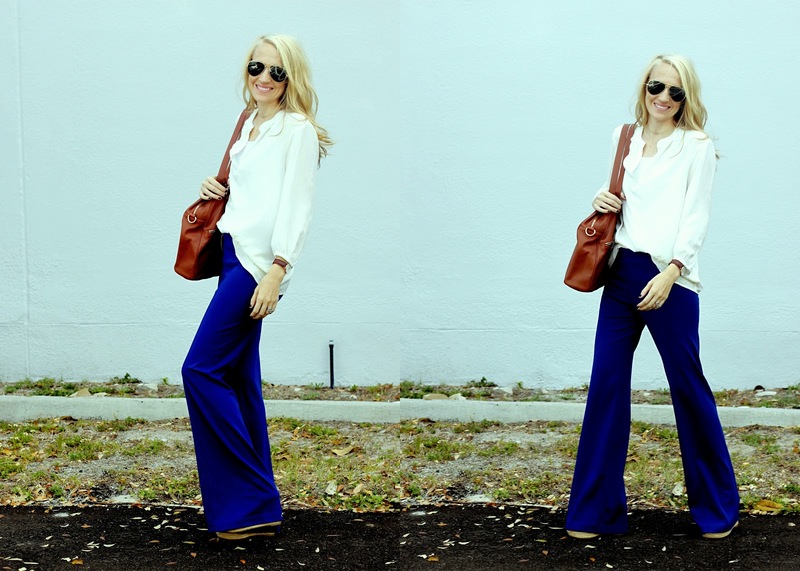 I've been all over thredup lately, can't get enough! I'd love to refresh my summer wardrobe! I love ThredUp for...everything! I'm currently stocking up on summery maternity clothes, and I also love the cute stuff I can find for my daughters. Looking for lots of dresses for my girls. I love love love Thredup. Their app is way too easy to use to buy clothes whether I have a spare 5 minutes or 50. I would love some red shoes. I have been on the hunt (via thred up) for weeks!! I'd be buying floral blouses and some new dresses for summer! I love thredup! I've had such good luck finding the same exact brand/style/size of different articles of clothing that I love. I would use credit to buy clothes for my little guy-he just started to crawl everywhere and I hate spending a lot of money on his pants if he's just going to wear out the knees! I love love thredup too! I always look through their shorts, shoes, jeans, and tops in that order. I have to delete the app from my phone occasionally so I don't waste all my time and battery browsing. If I won, I'd buy some summery blouses and dresses. I would buy some casual dresses! Definitely some new spring dresses! I need a whole new wardrobe as I just had a baby,..so shoes, spring/summer pieces are a must! i'd love to get some new jeans for me to feel good in post-baby while i'm still working to lose the baby weight! I have become OBSESSED with searching thredUp on the daily!!! I've found some really awesome stuff on it. Maternity-compatible but not actually maternity clothes are my jam right now. love thred up! would love some summer dresses for me and some linen shirts for my boys for church this summer! I got the cutest Elmo costume for my son one Halloween from Thredup! so many lovely spring tops i'd like to add to my wardrobe! I love thred up. I'd buy a new spring dress! thredup is the best! love a your picks! I'm sold. I'll have to check it out for the kids! I would love a new dress for spring. Also love that I can filter by "tall". I would buy cute things for my daughter. There's a pumpkin and a strawberry Gymboree dress I love and some adorable Gap jeans. I've been checking out thredup for awhile- might be time to take the plunge! I need to check out their kids clothes. I am pregs with my 3rd. Thred Up looks like the perfect place to get some cute duds but not spend a ton on "temporary clothes". Love finding great second hand deals! Looking for some nursing friendly tops and dresses for cheap! Clothes for my little girl are so so fun and there are some awesome options on thred up for her right now. But I really need some new clothes, especially some cute tops and some new jeans. I would spend the $100 on clothes for the kids. Lots of cute baby gap and Hanna Andersson. I would spend the $100 on some new spring/summer items! I love those mules! My little nugget ruined her only pair if shoes so I need to get her some and definitely some spring tops for me as I'm still in that after baby/too lazy to work out nothing fits stage! Thanks for the reminder to check the site out. Summer clothes for my little guy! I would love to buy a new dress for a dear friend's wedding coming up this spring! Dresses! I am going to 5 weddings this summer! I'm excited to check out this website! Why didn't I know about this website sooner?!? Mama needs a new pair of legit (non-mom) jeans!! And for those prices, I'll throw in a cute top and maybe some shoes. Ok, so that may be pushing it...but in any case, I'm excited! My first instinct is to but clothes for my girls because everything is adorable and its wayyyy less depressing than trying to figure out what size I am. But really, I should get myself some clothes that fit. It would be a toss up between maternity/postpartum summer wear for me or baby/toddler clothes. I love thredUp! While I'd like to say I would wait to spend the money on nice clothes for my postpartum body in June, I would probably end up blowing it all on cute clothes for my son or more maternity clothes that I don't need. I'm having a baby any day, so I need some loose fitting cute tops! I recently lost some weight (yahoo!) and am want to buy some transitional clothes while I figure out what size I settle on. I love thred up! Perfect place to get some spring clothes for my littles...and me! Thanks for the give-away! What a great way to search for clothes for the whole family. I want to buy some name brand jeans. I also love thred up and would make short work of that $100. And I now I have a girlie to dress up as well so the fun world of kids clothes is open to me. This is exciting! I have been buying some things secondhand from some Facebook groups, but I miss out on several cute pieces because I'm not going to make a trip to meet someone for just one cute dress for my daughter! I've already placed two thred up orders and I'm hooked! First baby due in June so I'm sure I'll be using them a lot of kid clothes the future! I am going to need some maternity clothes to update THAT wardrobe soon! just placed an order last week for some summer maternity clothes! but would spend the $100 on clothes for the new baby and my toddler - who is due for a growth spurt any time now! I would get some nursing friendly clothes since I haven't been able to get very much yet! I love browsing their dresses! I feel like I have a hard time finding cute dresses in real life--but at ThredUp, it's easy (and fun!). I've never bought shoes from them--but oh my gosh, now I want to! I love thredUP so much! It's really the only way I shop with my husband being in grad school. Each month I like to set a goal for something I want to accomplish and then purchasing something on thredUP is like a treat for me :) I love it! And I love this post you wrote about it - although the selfish part of me wants you to hide it so I can keep the good stuff all to myself...but I know we have to share ;) thanks for your posts I love them!! I'd probably look for a dress. Already found some good possibilities! This mama needs new threads! Oh ya and my kids are currently running around half naked..partially because I don't want to take them shopping and pRtially because they are shameless goons. I love ThredUp because of you! We've scored big every time I've looked. We all need new summer clothes! I'm in need of some new dresses so my moola would definitely go towards those. Cute! Keep meaning to try it as an alternative to eBay. Love thredup! I'd love more little boy and pregnancy clothes!! I gave up shopping for Lent! It was mostly a time thing- no need to just pop into (random store here) to see what they had because I wasn't buying. It's actually been nice, and I think in the future, I'll focus on buying a capsule style wardrobe once a season and call it DONE rather than spending lots of time and money collecting random pieces... long story longer, I'd bet $100 would take me pretty far towards that goal at thredUp! I'd love to spend on boys clothes or fun maternity pieces! Love thredup! I've been apprehensive to try threadUP because I'm nervous about fit and quality but you've sold me! I love thredUp--it stretches my clothes dollar! I need a wardrobe revamp cuz all my summer clothes are old and I've also gained weight. ��. If I won I might throw in some basics fir my kids too. I've skimmed through ThredUP before but never ordered anything...this might make me bite the bullet. After all, thrifting without leaving my couch? Yes please. ThredUp is my favorite--I think I'd get my girlie and myself some spring dresses! So fun! Love Thredup! Spring shoes and dresses please!! I need a postpartum wardrobe refresh! It's been ages sincentives I bought new non-maternity clothes, and it's definitely time! I like how they have the link with Amazon now...that's new since I last looked at them. My non-leather belt just broke, and I'd like to get a leather one that's not super expensive. Maybe a fun dress for spring/summer as well! I would love to spend the $100 credit on a flattering, postpartum wardrobe. Much needed post baby clothes for this mama! Much needed post-baby clothes for this little mama! Oooooo, I would love some postpartum, nursing friendly basics for me and some cute summer clothes for my toddler and new baby! Leggings and coordinating shirts. My twins are 8 weeks old and maternity clothes no longer fit but neither do my regular clothes. I'm having the hardest time finding a light jacket for my almost one year old daughter. I'm sure I could find the whole family a piece or two. Thank you for turning me onto thredup! I have found a few things there but have sold way more when I get into a spring cleaning mode. So easy!!! Love thredup! Especially their maternity clothes section. So clutch. I am obsessed with thred up. Thanks for sharing all your fabulous finds! I would buy myself some tops and a few dresses. Dresses! I love maxi dresses and cannot get enough of them but I am too broke to spend money on me! I would definitely spend the money on MYSELF and not my kids. I have gone way overboard for them recently at consignment sales, and mama's wardrobe could use some updating! I've only ordered from ThredUp once but I loved it! I got a pair of Old Navy jeans, a pair of Gap jeans, and a long sleeve shirt, all like brand new for only $17. I couldn't believe it! Definitely want to shop there again. I'd love a new pair of jeans! I need a dress for a summer wedding! Shoot, forgot I was supposed to say what I wanted to buy! I need an Easter outfit for my 3 year old so I better get shopping. I would definitely spend it on a summer wardrobe for myself! Jeans! And tops for Spring! I need to shop there again. Shoes will get me there! 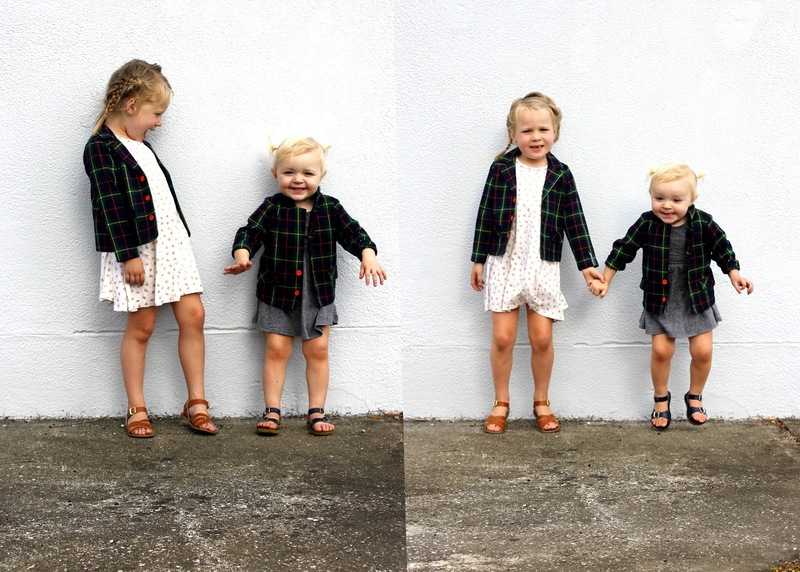 I love finding dresses for my girls on ThredUp from land's end and Hanna Anderssen. I'd love to get a few new items for work for the summer months. I'd buy some summer clothes for my 6 yr old and a new bag for me! So many things I'd look for at ThredUp! Some great flare leg jeans (I spy a pair in my size already) sandals with a small wedge heel, and a dress for a wedding I'm attending soon! ME! I'd spend it all on me, none on my kids this time! I am in desperate need of spring time clothes to dress the new fluffier version of myself, 7-months postpartum! I've gotten really into lularoe leggings so I'd be looking for sleeveless tunics. I would love some shoes and dresses and camisoles, and girls' clothes for Kate and oh the possibilities are endless! Summer dresses and clothes for my kiddos! Holy cow how have I not known about this store?! I'd buy all things J. Crew Factory & White house black market. I love second hand stores, but only go when I'm without my 2 girls! Which seems to be so rare :( Thanks for introducing me to ThredUp! Clothes for my ever growing little guy...maybe a new easter outfit? Shorts! I have none and I hate trying to find some that fit and are not crazy short shorts. They have a big selection of all different lengths and styles...love that! I would buy some pants for my second daughter. My first was such a tom boy and wore out all the knees! So happy I saw this post! I need to update my wardrobe with a few pieces and I'll definitely give ThredUP a try! Shoes, dresses, slacks for work, clothes for my grandbabies! I've never bought anything from thredup before! I would love to get some dresses and maybe a good-fitting denim jacket. I neeeed (want*) new clothes for spring! I love thredup! They've been my go to for everything lately! Shoes and purses for me! My son has to wear a uniform now, so we don't need anymore kids clothes. dyyyyying at J & P's blazers. match it upppp. oh ps. 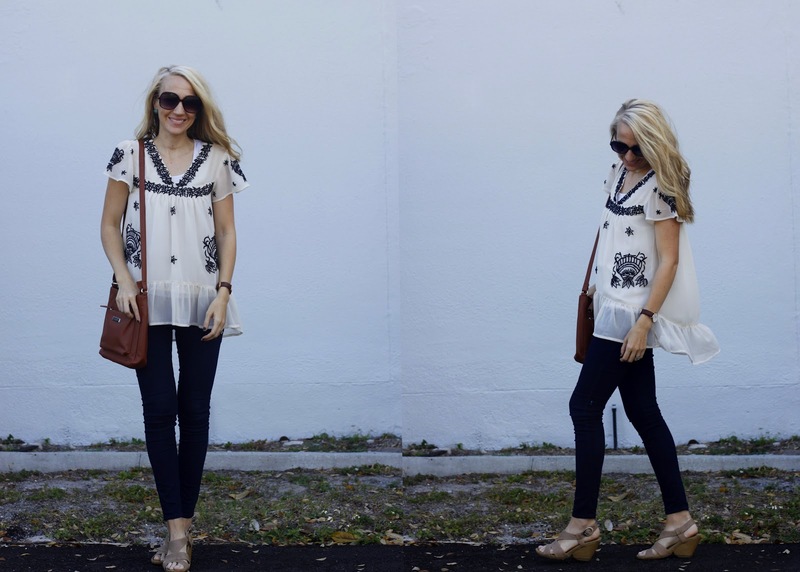 already love thredup! eyeing post partum nursing friendly dresses. ha. so not exciting. Thank you for the giveaway! Can't wait to ck it out. I need some tunics and am excited to see what they have! Absolutely love your blog and the kids...freakin adorable!!! I'd love to find clothes for my three kids and maybe some jeans and shoes for me! Finding some new clothes after daughter is born this summer would be great! I would love to try to find something for myself or my teenage daughter. Everything looks so nice! While I would love to buy something for myself but with being preggo with #2 and it being a girl and the first was a boy I am all over shopping for baby girl clothes. i would probably spend it on girls clothes! i feel like my daughter is constantly growing out of things. I don't know if I've been living under or rock or what, but I just heard about ThredUp a week ago and I immediately ordered some shorts for the summer. Now I'm anxious awaiting for them to arrive!! I love that they now have free returns! I can buy so many more items now! yay! I love that you can be so picky on Thred Up! Kinda like going to the mall.. but so much easier! I need new wedges for the summer. I need some new summer clothes for me and would love to check out ThredUP for them! Love Thred Up! And their app! I love thredup so very much. I would love to get some new summer flats. Maternity clothes. I usually don't hate them so much when it's time to pull them out again, but this time...yikes.